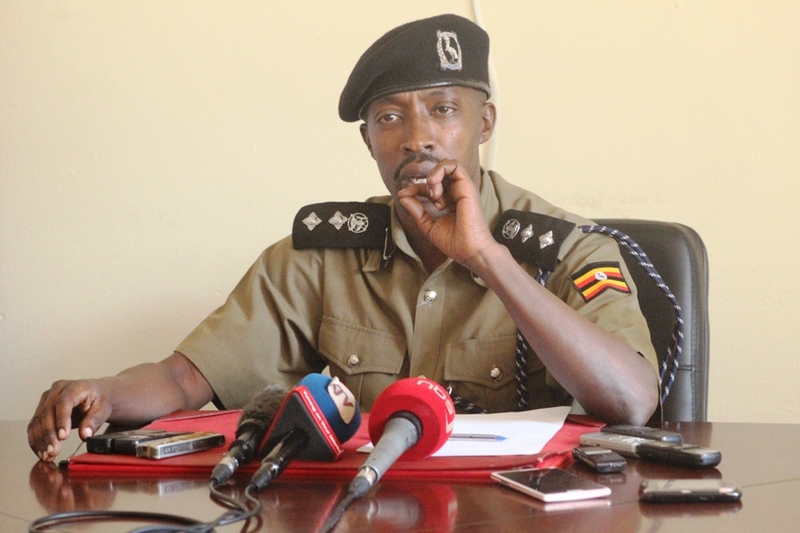 KAMPALA – Mr Emilian Kayima the Uganda Police spokesperson has Monday revealed that the force is investigating the circumstances under which the tortured Mityana Municipality Member of Parliament (MP) Francis Zaake was dumped at Lubaga Hospital gate. The development comes days after a statement issued on Sunday by President Yoweri Museveni indicating that Mr Zaake had escaped from police custody and he is a wanted man. However, it remained unclear why Police have not re-arrested him from Lubaga Hospital in Kampala where he has been admitted for days on life support. On Friday last Mr Zaake was dumped at Lubaga Hospital according to information circulated by Makindye East MP Allan Ssewanyana. 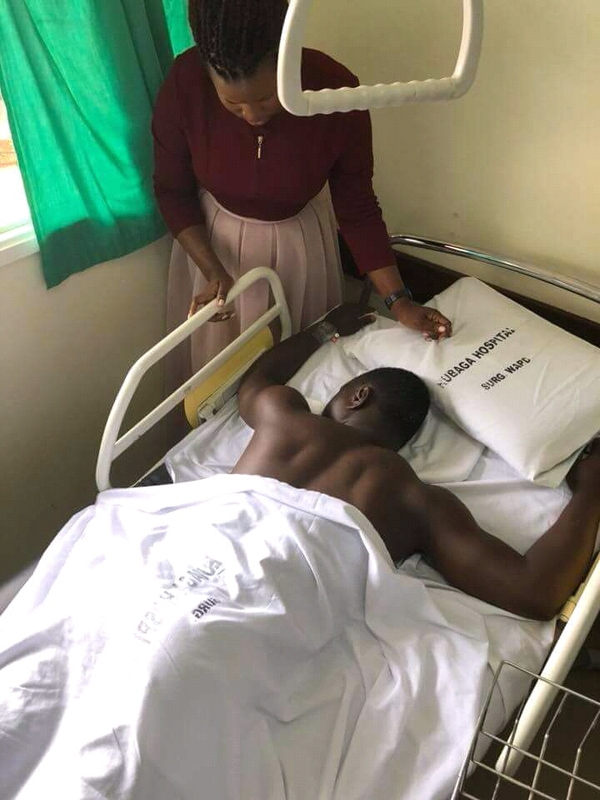 Mr Ssewanyana posted on his social media that the MP whose whereabouts were unclear since his arrest in Arua last week on Monday evening was at Lubaga Hospital in critical condition. Mr Ssewanyana said that Mr Zaake was allegedly dumped at the facility by unidentified security operatives in the wee hours of Friday. Mr Zaake was among the people arrested on Monday evening following the scuffle that led to the shooting of singer Bobi Wine’s driver, Yasin Kawuma, in Arua. Mr Kayima confirmed that security forces had arrested Zaake in connection to chaos that ensued in Arua during the parliamentary by-election seat but denied torture claims. “Police are investigating the whole matter such that Hon Zaake is held to book and see the possible charges against him,” Kayima told reporters on Monday. The alleged torture of MPs sparked off demonstrations in various areas including city centre, Jinja, Busia, Mityana among others. In Mityana, angry mourners, on Monday afternoon chased a group of senior police officers, including Police Commissar Asan Kasingye, from the burial of Samuel Ssekiziyivu, who was shot during the protests in Mityana Municipality on Sunday. Ssekiziyivu, a football fan, was hit by a stray bullet while travelling in a taxi as it passed through the town where residents were demonstrating over what they called torture of their representative in Parliament, Mr Francis Zaake, who is currently admitted to Lubaga Hospital in critical condition following beatings he sustained during the violence that marred the Arua Municipality by-election last week. And on Monday, the senior police officers, who were in Mityana to commiserate with the family were chased away by the angry mourners who accused police of brutality and being insensitive to people. As the officers left, some mourners also threw stones at them. They later boarded their vehicles and left.